Many self-driving evangelists took a restrained tone at CES earlier this month. Few made bold claims, and many began putting the inevitable self-driving future into context. There’s been a refocus on making real-world advancements in the technology in ways that are useful to people. However, that hasn’t stopped automakers from continuing the research and development of new systems in preparation for that future. 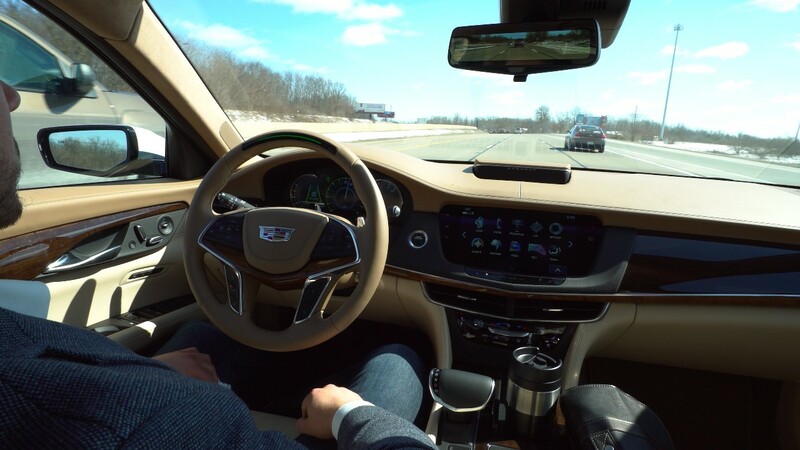 Cadillac has Super Cruise—a robust SAE Level 2 semi-autonomous system that gives drivers a taste of the future without allowing drivers to abdicate their responsibility behind the wheel in case of an emergency. The system is so good, Autoblog named it its 2019 Technology of the Year winner. What makes Super Cruise special isn’t what it does, but what it doesn’t do. One, it doesn’t change lanes. That’s something the driver has to do. The system doesn’t suffer from the ping-pong effect either, which is where the car will bounce back and forth in a lane, trying to center itself. A steering-wheel-mounted camera monitors the driver. This makes sure the driver isn’t distracted or purposefully not paying attention. If the system detects the driver isn’t paying attention, it’ll force the driver to resume control of the vehicle. This is a failsafe system its competitors lack. Super Cruise has other limitations. The self-driving aspect only works in defined areas. If you’re outside one of those defined areas, then the system works like any other adaptive cruise control system. Indicators on the instrument cluster and the steering wheel alert the driver when Super Cruise is capable of fully operating. Super Cruise debuted in the Cadillac CT6. In 2020, Super Cruise will filter into other Cadillac products. Congratulations to Cadillac for this recognition. I am very excited for this technology to continue to evolve towards full autonomy capabilities, but still yielding control to drivers when desired. This Super Cruise system appears to address my biggest “complaint” with the adaptive cruise on my 2017 Acadia, with the “ping-pong effect”. Still, it would be hard for me to ever give up the benefits that even the adaptive cruise brings. Would love next year to trade in my vw passat r line to get a new Cadillac hope it happens rather deal with you guys in ac rather than toms river.